One of the weirdest looking fish in the Red Sea. I feel that it is aptly named as it would do well on one of Picasso’s paintings. 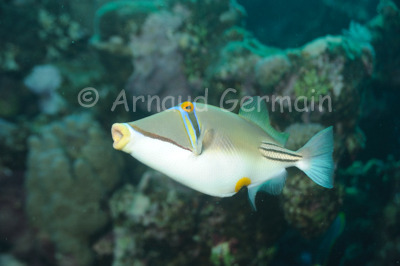 I took this picture on a dive in Marsa Shagra as the triggerfish was spitting out a rock. They are really common on the reef. Marsa Shagra South House Reef, about 18 metres down, Marsa Alam, Egypt.